'Made in China 2025', Beijing's industrial plan to create a tech superpower, is still receiving a major push from the Chinese government, despite earlier reports of the policy being revised in a bid to calm down trade tensions with the United States. As per a few Chinese companies, they have not witnessed any change in the country's generous support for their efforts to secure top talent and to dominate cutting edge technology, reported Nikkei Asian Review. These companies were participating in the Consumer Electronics Show last week in Las Vegas. Some of them informed that they were shifting procurement from the U.S. to Chinese suppliers in order to support the development of domestic high-tech supply chains. "Beijing does not talk about 'Made in China 2025' anymore, but things haven't changed much on the ground. I don't think that the Chinese government will ever pull back their support. After all, high-tech is vital for China's future," said a Chinese entrepreneur. The entrepreneur went on to add that his startup making chips for smart devices has roughly received 10 million yuan (USD 1.5 million) in government subsidies last year. Besides that, there is another startup, specialized in mind reading wearables, which is planning to open a global headquarters in Hangzhou, and aims to start mass production of smart prosthetic devices later this year. Their offices have been paid for by the Hangzhou authority, which is also funding research and development. Not just startups, but established companies too have benefited from the Chinese government. In December last year, a Nikkei Asian Review report stated that a top iPhone assembler, Foxconn Technology is preparing to launch a chip factory worth USD 9 billion in Zhuhai. The company, which is expected to open in 2020, will be built largely with subsidies from the Zhuhai government, as chipmaking is one of China's most needed technologies. China's determination to transform itself into an advanced manufacturing power by targeting 10 strategic sectors including artificial intelligence and robotics has been a key issue in the tensions between the US and China. The US President Donald Trump's administration has imposed punitive tariffs on a total of USD 250 billion of Chinese imports in a bid to stop what it claims is 'unfair competition'. The two nations appeared to make progress on resolving the dispute last week, however, no firm agreement has yet been reached. "The major change is that the (Made in China 2025) policy is not talked up directly as much...but the (Chinese) government is still working extremely hard to develop a modern design and manufacturing ecosystem. Their support is not likely to stop as this shift is seen as a must-win," said Benjamin Cavender, a senior analyst with Shanghai-based consulting firm China Market Research. All the companies believe that Beijing will not ease back on its high-tech industrial development push add that they boost their in-house research and development efforts in a bid to reduce reliance on US technology. A Shanghai-based auto company has set up a research centre in Silicon Valley shortly after the trade disputes emerged in March last year. "Although we had this plan for a while, the trade war has motivated us to speed up the implementation. The key technology of autonomous driving is at the hands of Americans and one can expect it would only become more difficult to access American technology in the future. So we have no choice but to develop our own technology," an executive from the company said. Chinese companies have extensively supported the development of the domestic supply chain, either via direct investment or by increasing local purchases. One such trend can be seen particularly in the chip industry, which was virtually non-existent in the country a few years ago, but has now reached a scale of more than 1,000 companies according to some industry estimates. "In the past, Chinese companies preferred to buy US chips because they didn't want to take risks of trying out domestic products. 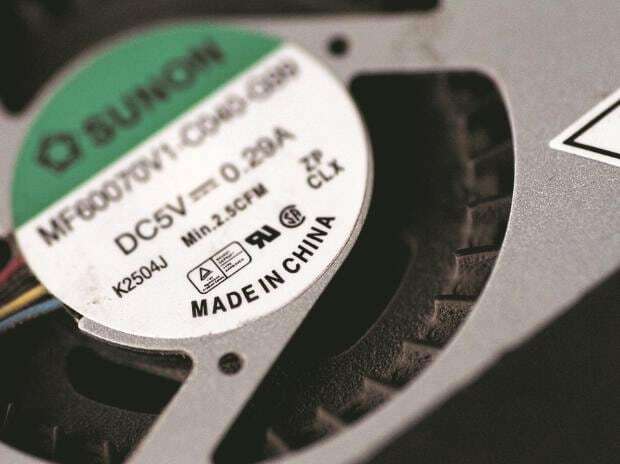 Now, they have realized they cannot survive and thrive without the co-existence of strong domestic suppliers," said Xiang Jianjun, founder of the Chengdu Analog Circuit Technology. Xiang said the turning point came last summer when US banned ZTE putting the Shenzhen-based telecom equipment manufacturing giant's survival in question. Some Chinese high-tech companies are also rushing to produce their own chips. "China is very good at commoditizing technologies. In some cases, China is great in leveraging worldwide open source foundations to create super strong things," said Chris Dong, global research director at technology advisory firm IDC China. Shen Qiang, a founding partner of Beijing-based Jiangmen venture capital firm, said that Chinese companies can perform as well as their American counterparts in certain areas such as smart devices. "China had dreamt about developing high-speed railway technology since its debut, but it took us so many years to get there. But once we get there, look at where we are now," he said.